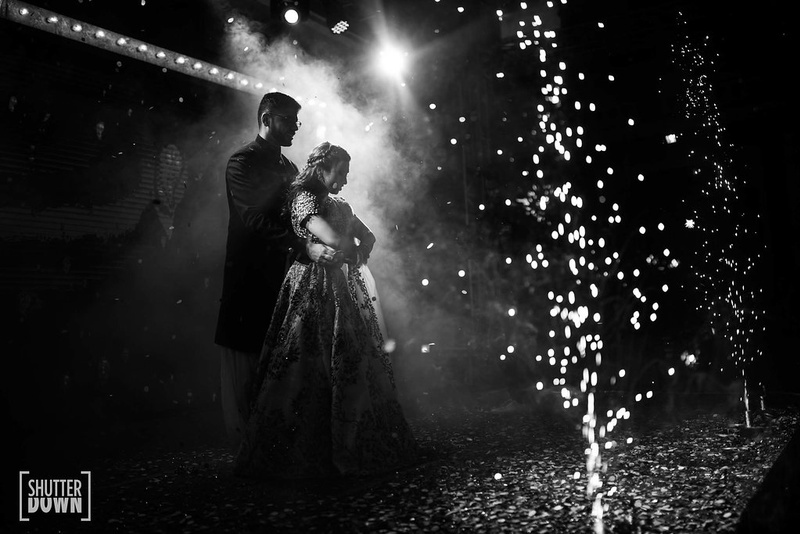 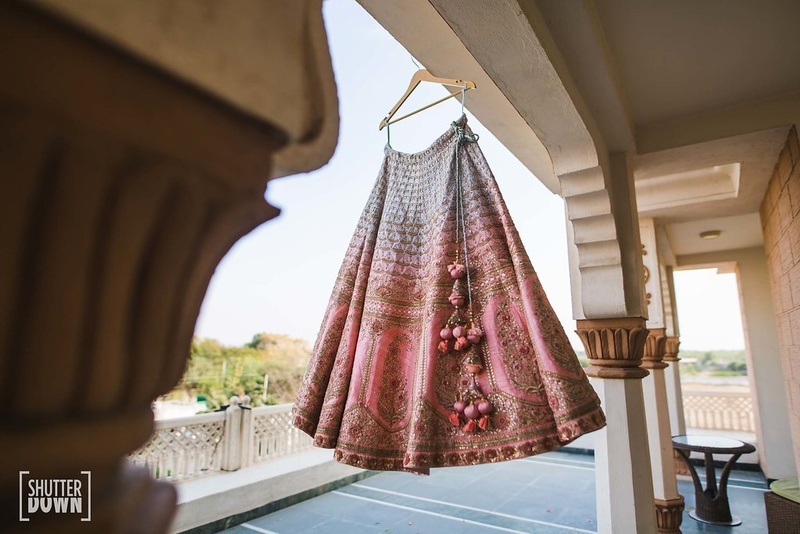 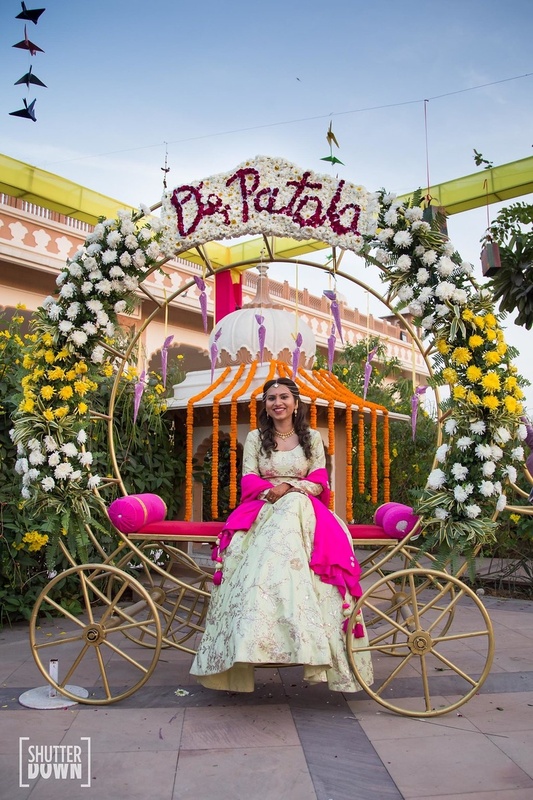 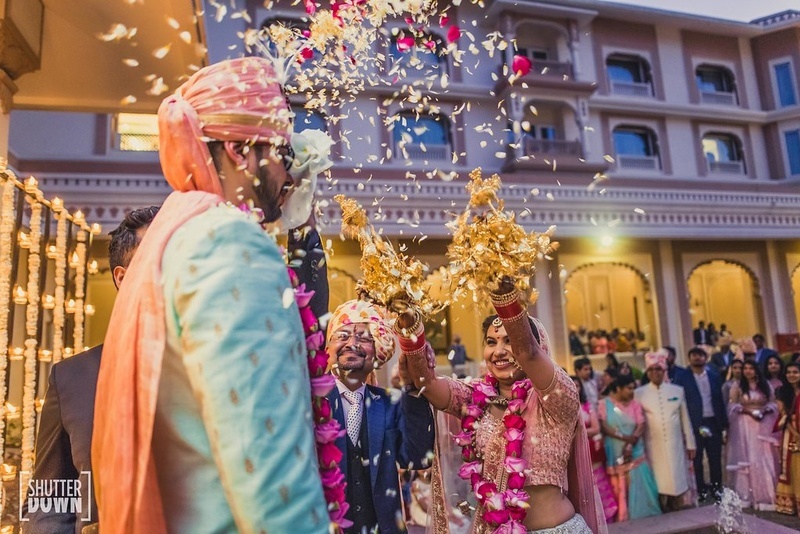 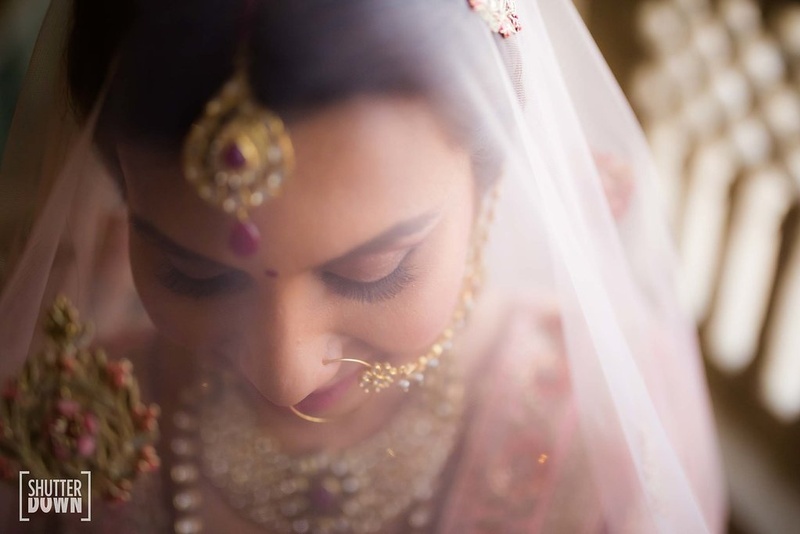 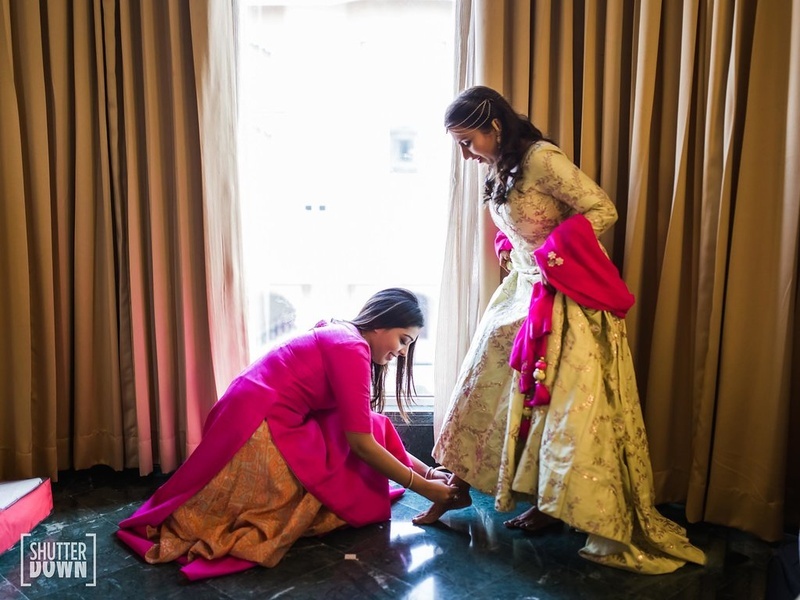 This Doctor bride's traditional Jodhpur wedding saw some major #decorgoals! 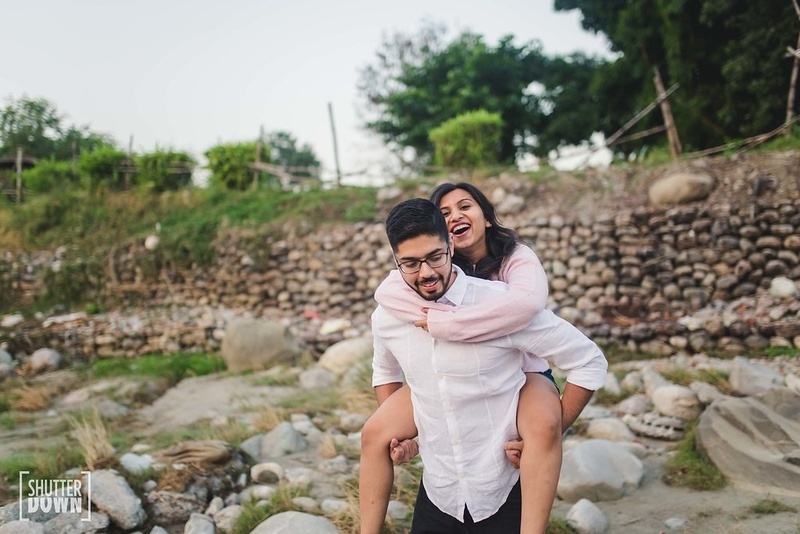 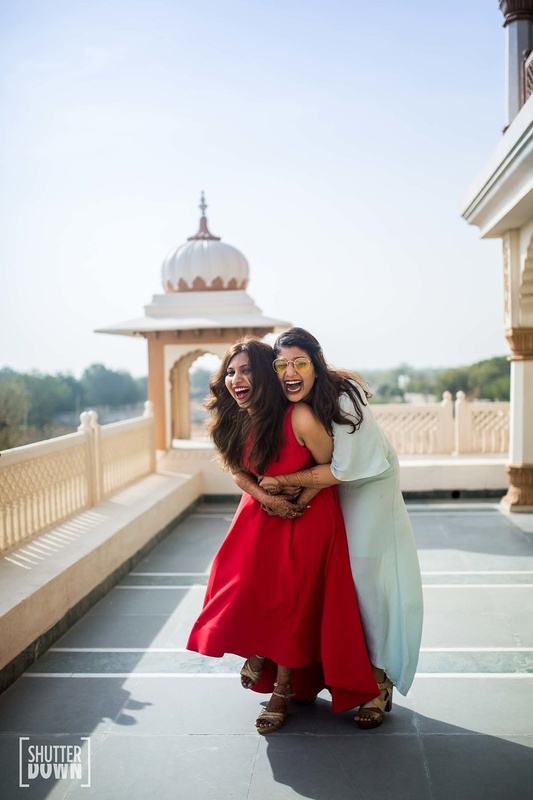 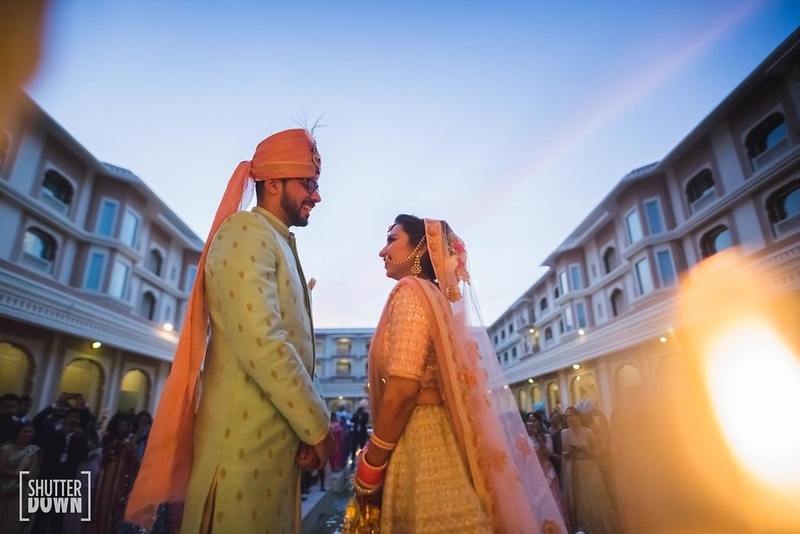 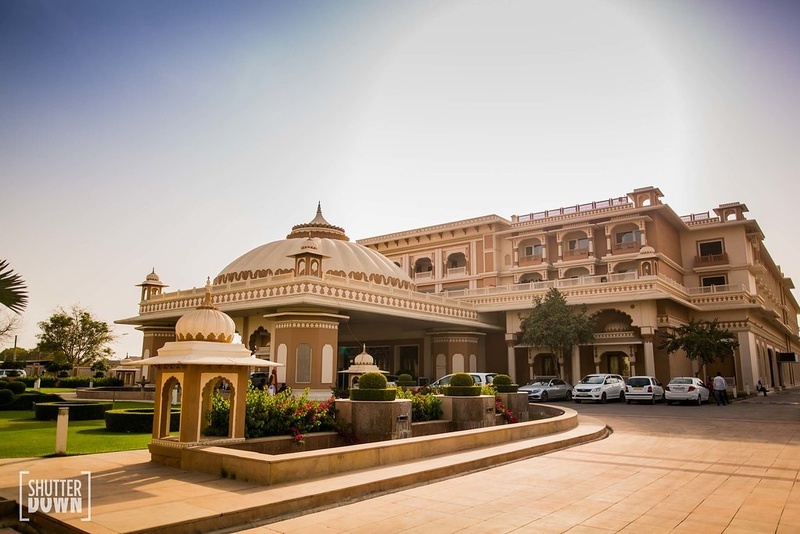 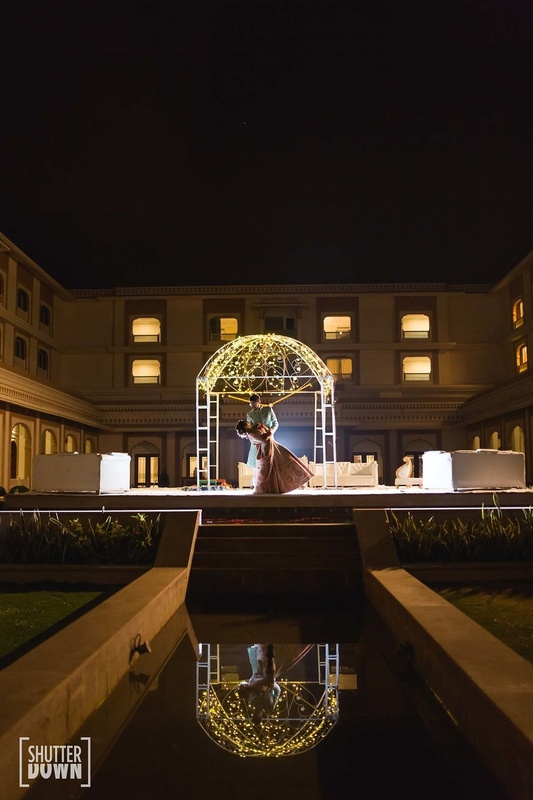 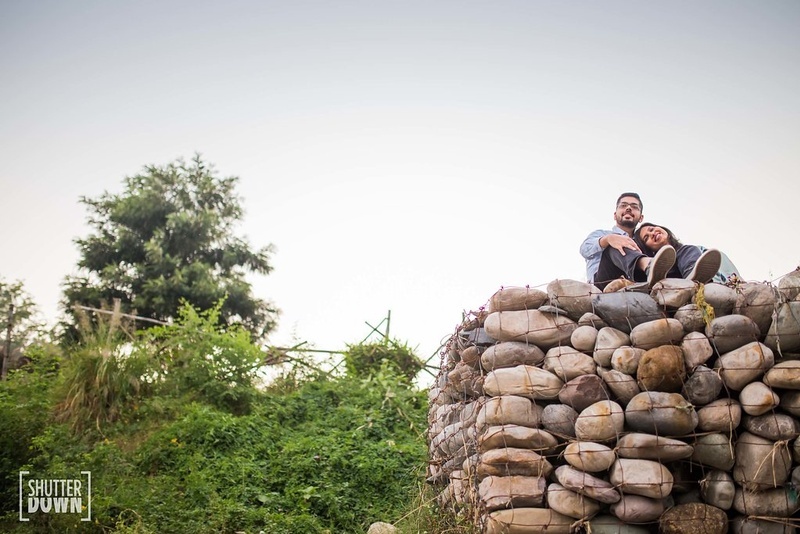 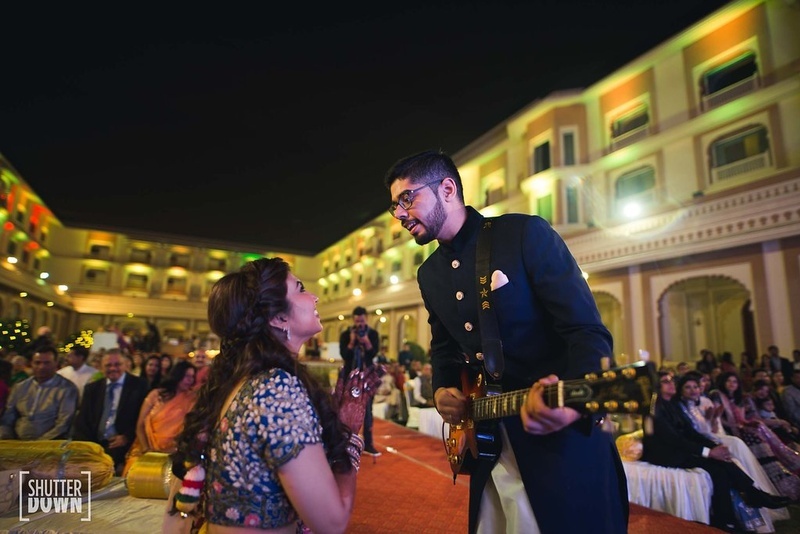 Childhood friends and long-distance sweetherts, Dhruv and Sumati’s grand wedding in the luxurious Indana Palace Jodhpur was sweet and light. 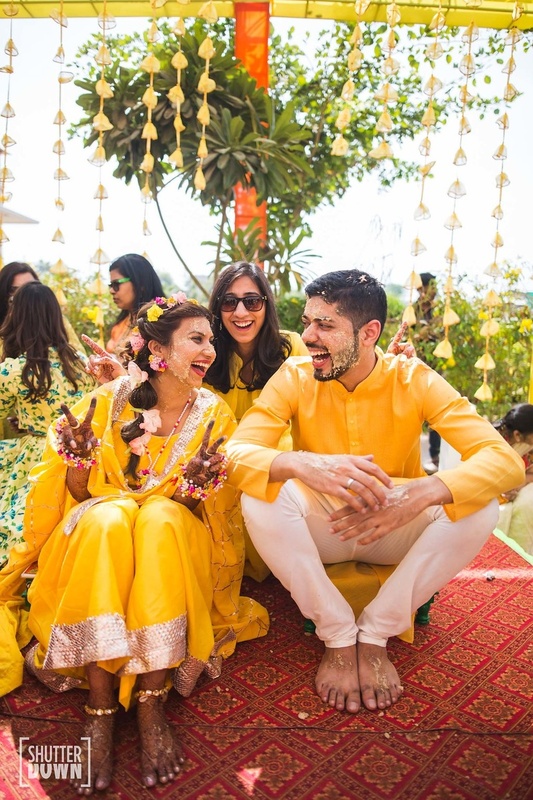 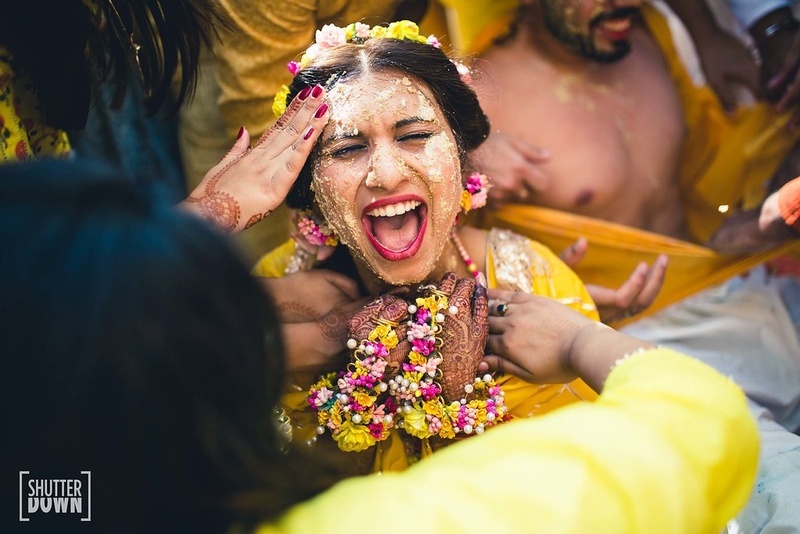 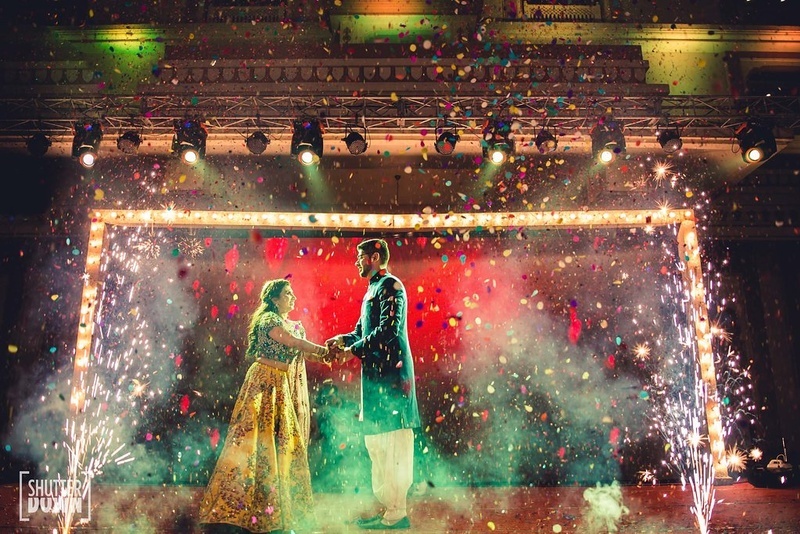 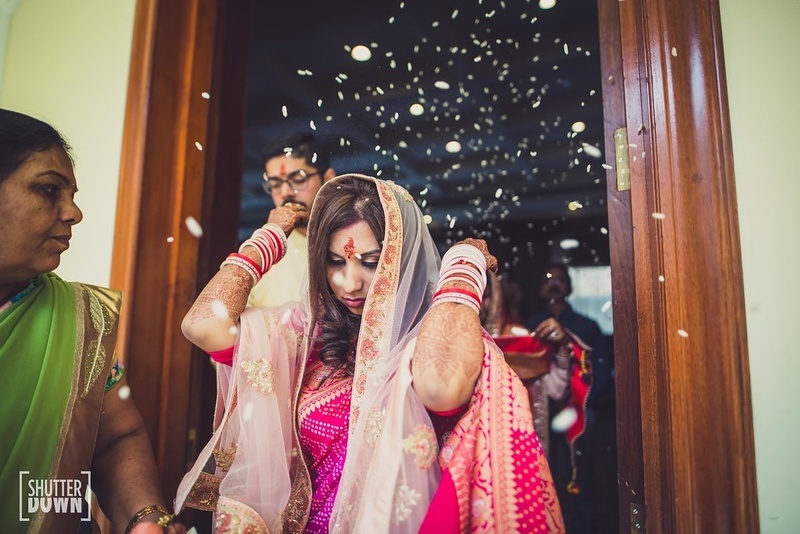 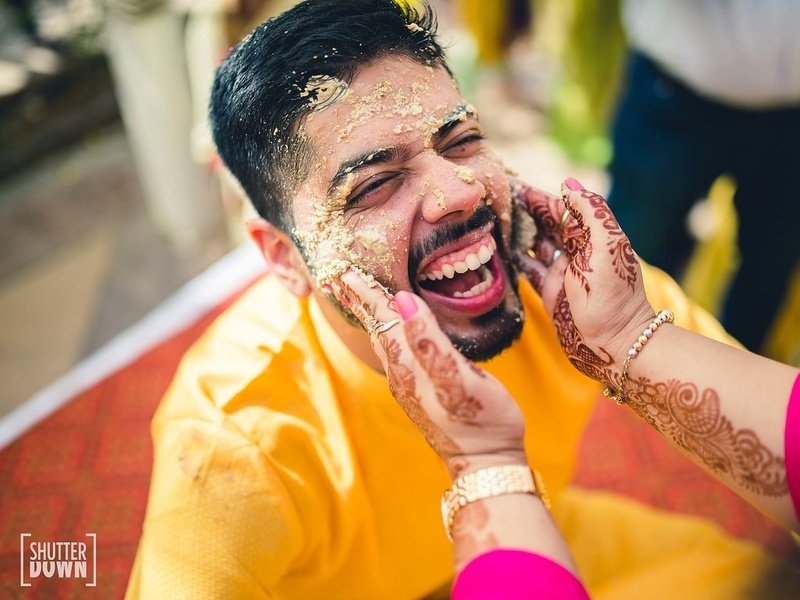 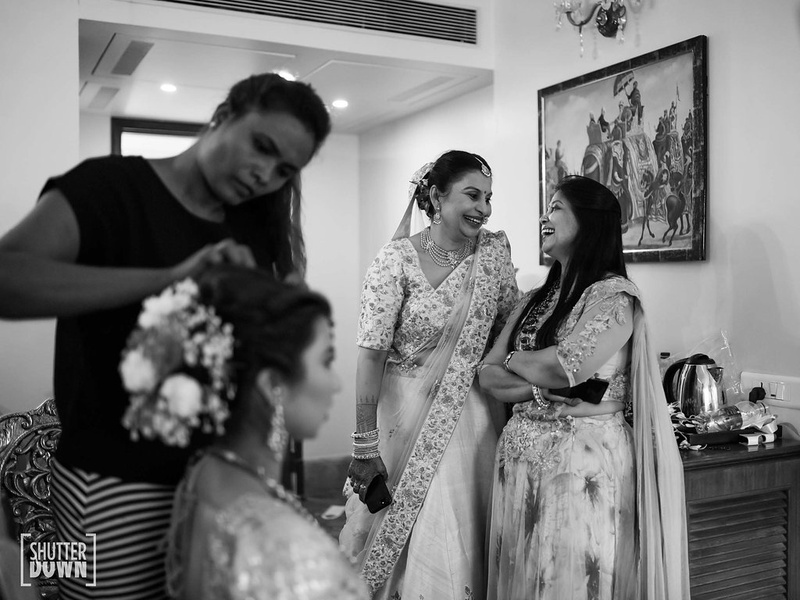 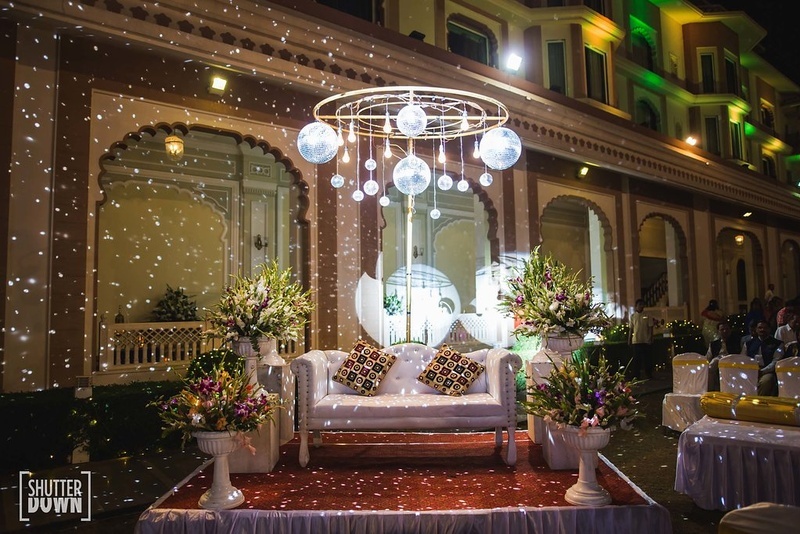 The bride had a beautiful intimate mehndi ceremony and the venue was decorated using exotic flowers and interesting décor elements. 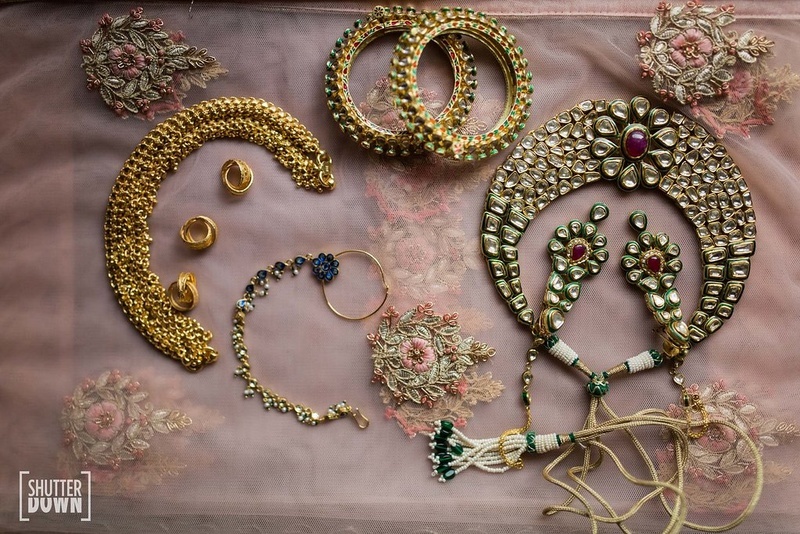 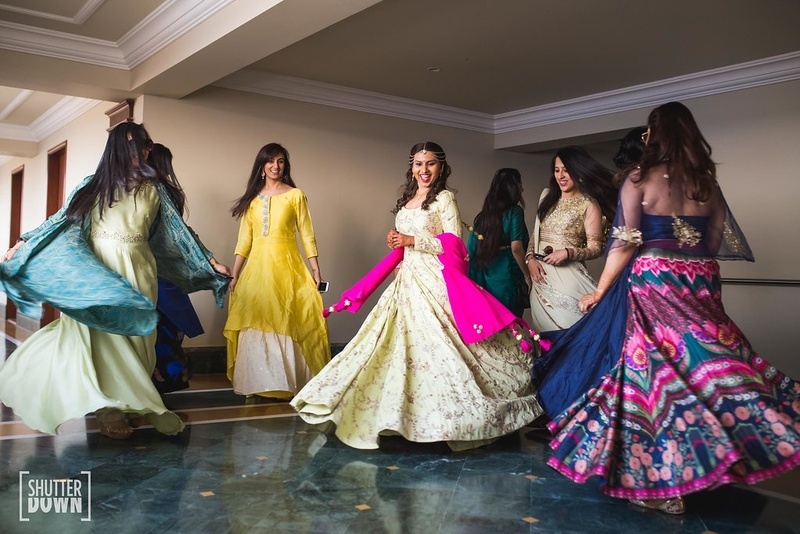 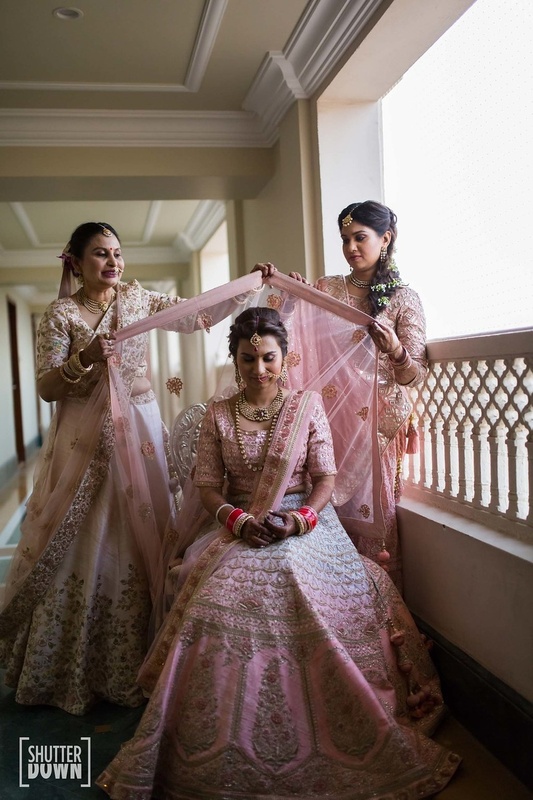 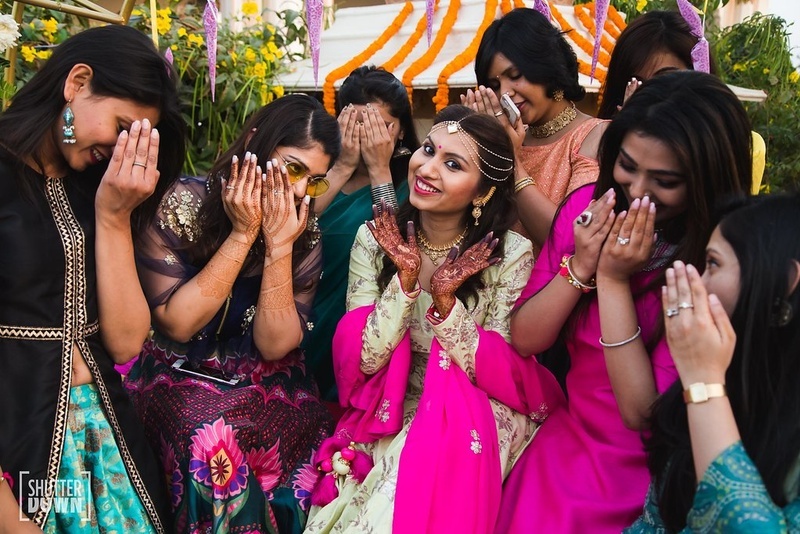 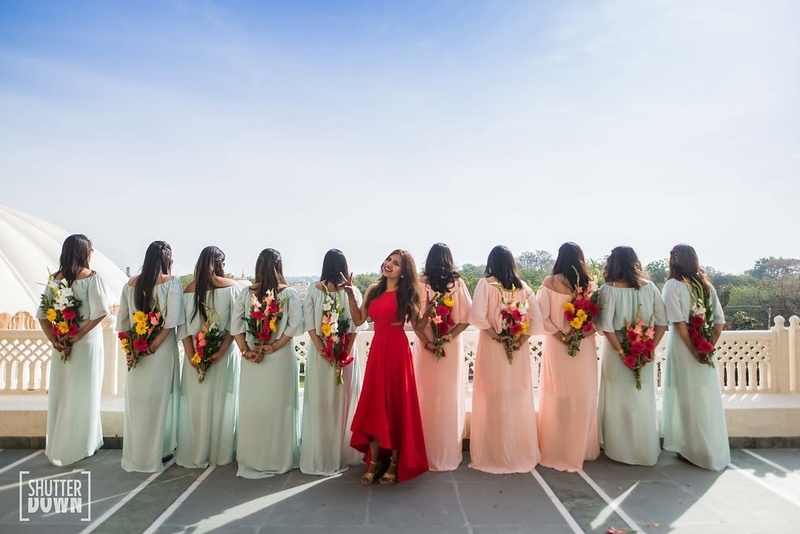 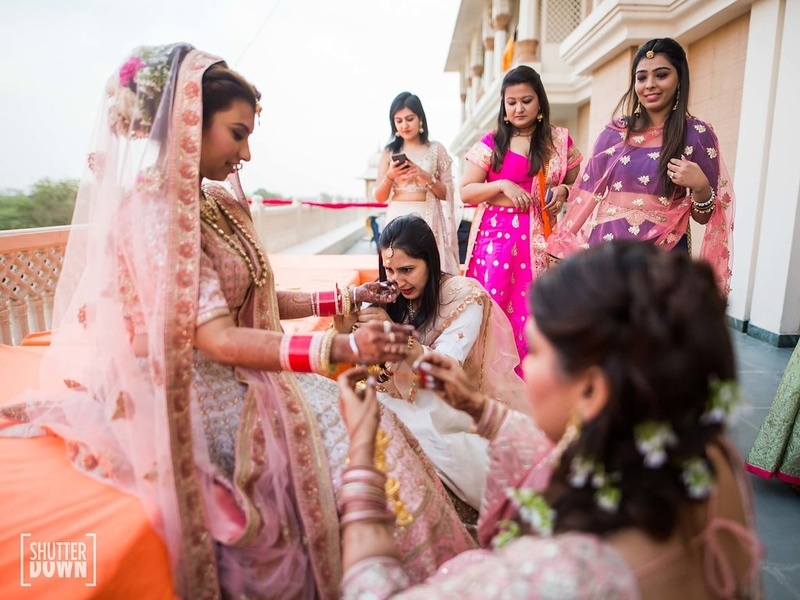 The bride looked resplendent in her bridal ensemble paired with her beautiful jewelry and posed with her bridesmaids flaunting their henna designs. 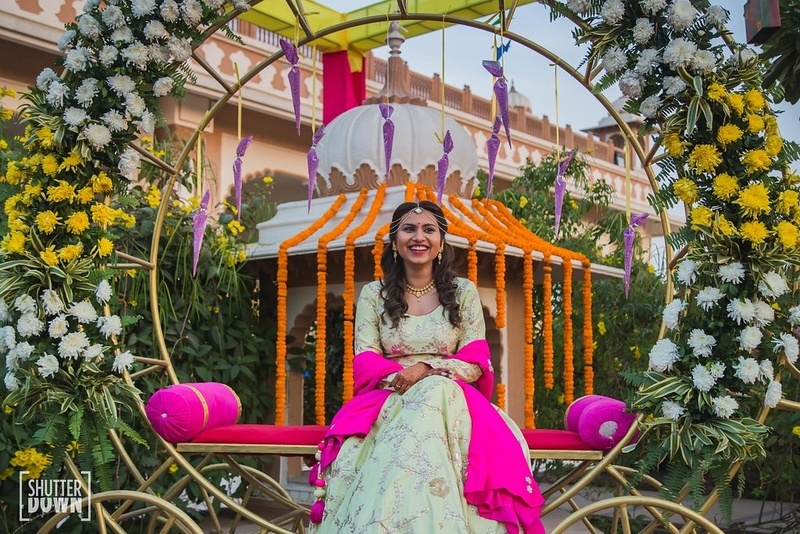 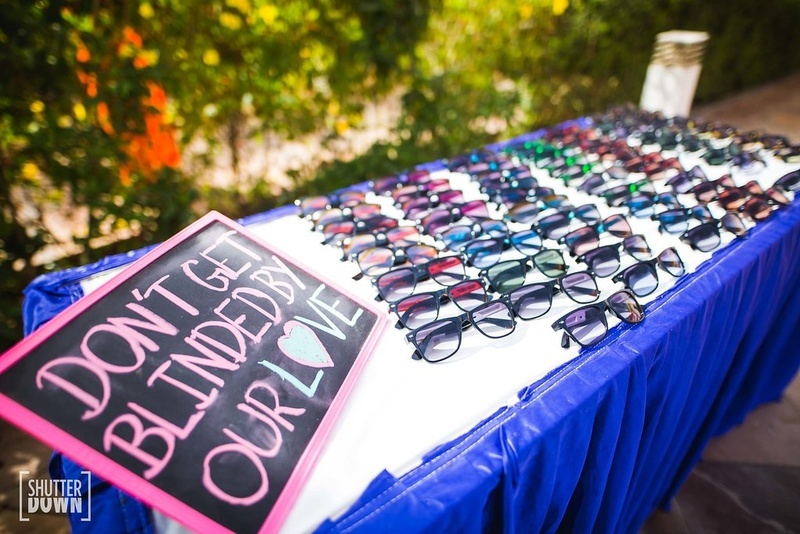 The theme for this function was carnival. 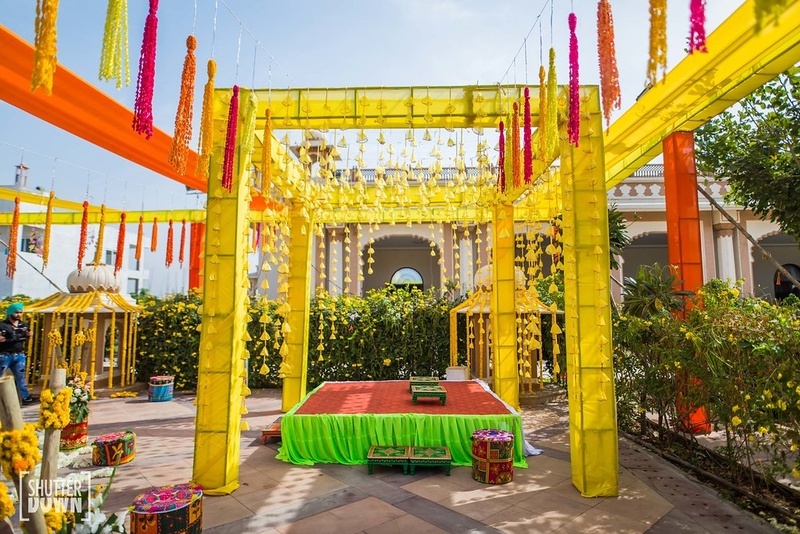 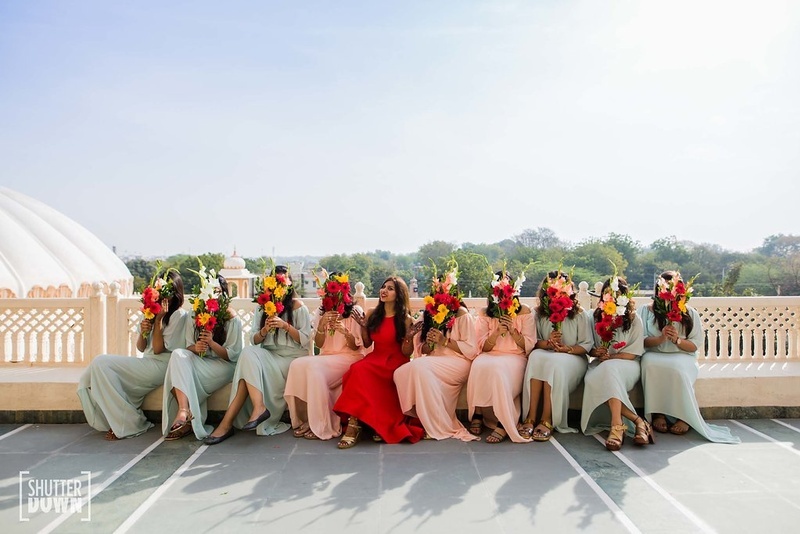 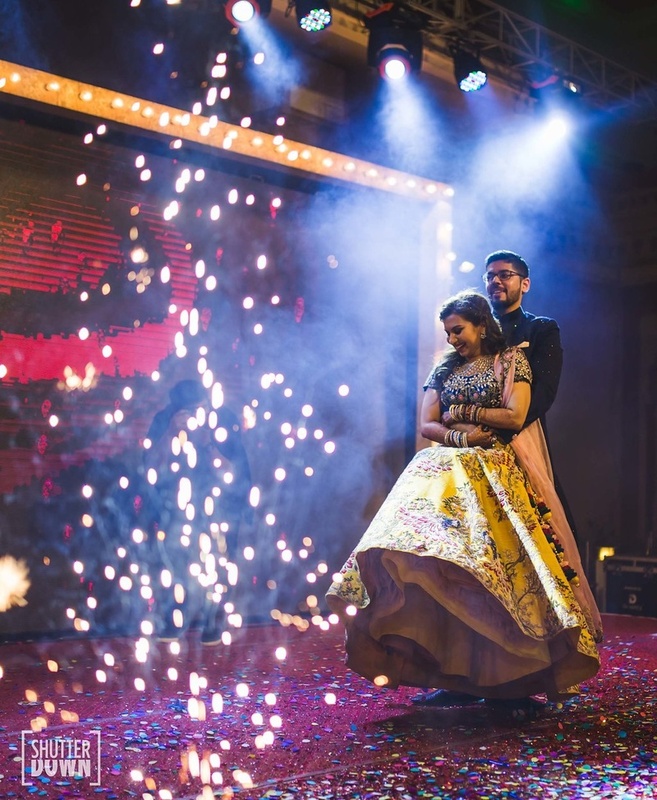 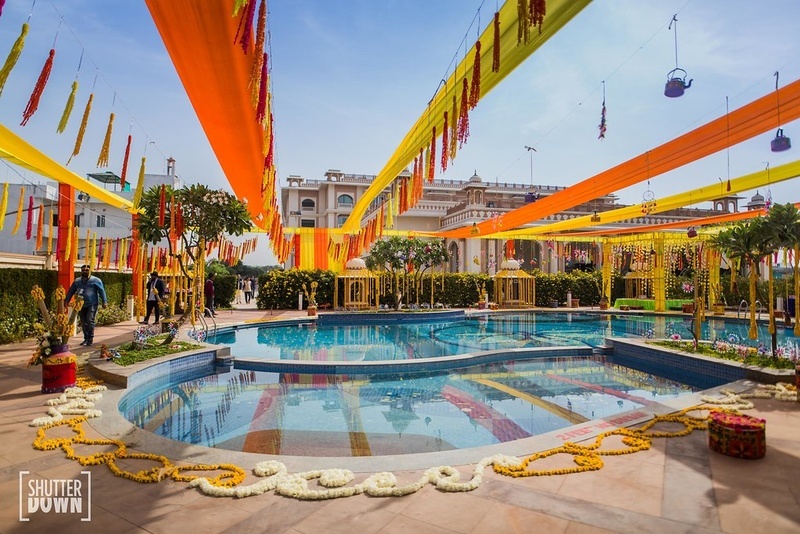 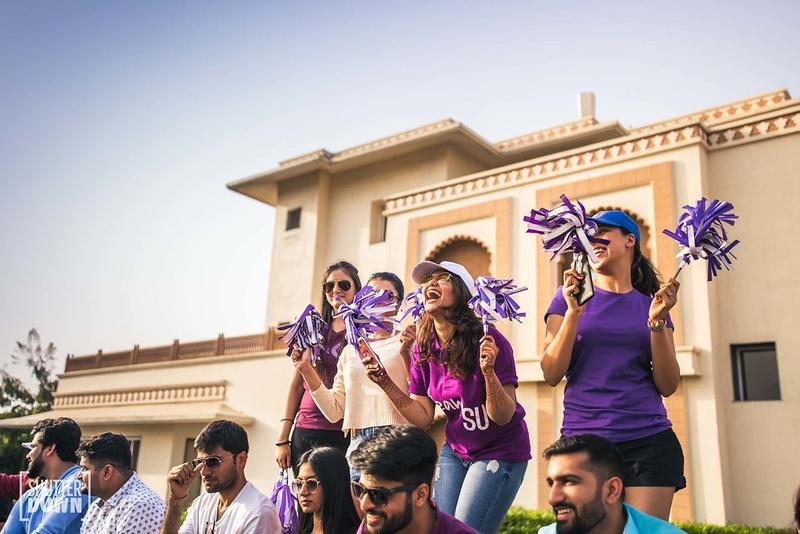 With tea pots and ceramic bags hanging, lots of white and colorful flowers, mehendi cones on the side, low seating colourful charpai, moodas and low tables with cushions for ladies, the interesting décor elements gave an eclectic vibe to the venue.